Chandeliers & Tulips is an airy, chic boutique that specializes in modern contemporary design with a touch of vintage inspiration. Located in Los Angeles and serving the homes of nearby Hidden Hills and Malibu, C&T boasts an eclectic mix of clients. Mother/daughter team Nancy & Shanesa fuse furnishings and fashion to bring their customer a unique, and unexpected experience in their exclusive shop. They are excited to share it with you. It's the list of vast design services and an abundance of excitement and energy that sets Nancy and Shanesa apart. Nancy brings a rare combination to the job, as she is both a designer as well a licensed contractor. This gives her the the unique ability to take a project from design through construction to furnishings and finishings. Her vision and attention to detail has made her one of LA's top designers. Shanesa has impeccable taste which is apparent to anyone who steps through the doors of the store. She's always on the lookout for cool accent pieces and the latest fabrics. 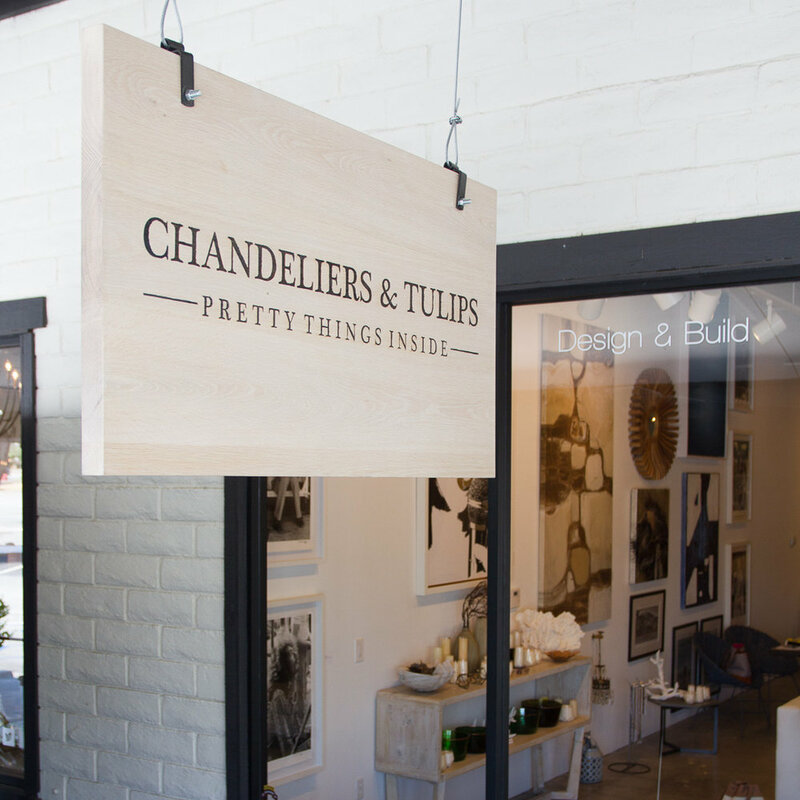 Chandeliers + Tulips is a true LA design shop. Inspiration is culled from the cool mix of landscapes and people, while using lots of local artisans to create their distinct look. All of their furniture and designs are hand crafted in their LA showroom and factory. If you are in town, please stop by and visit our store!